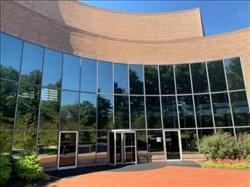 Find My Workspace lists over 95% of the executive office suites market in Milford (Connecticut). Simply click Request Quote to check pricing for one office, or Add to Basket for multiple offices. This site offers all inclusive memberships in a class A building and professional setting. Located seconds from the Merritt and minutes from the lovely local Down Town Green and West field mall. Also located within minutes of the train station. This center has a full service cafeteria as well as access to high end meeting rooms and corporate campus gym. Included are housekeeping services as well as front desk assistance. Members are able to create the space they desire and are able to work with the locations consultants in order to implement the added amenities that will make them have the most optimized experience in there space.